The spacecraft was launched into a polar orbit with a nodal regression rate near zero, thus providing a complete scan of local time in 1 year. To provide an altitude scan over the whole globe, the perigee precessed at a rate of -3.5 deg/day. 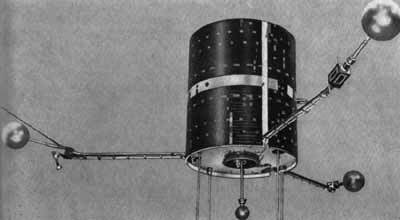 The spacecraft was cylindrical in shape (similar in construction to ESRO 2), was spin stabilized, and used a PCM/PM telemetry mode transmitted in three forms: real-time telemetry at 64 bps, tape-recorder playback, and high-speed telemetry at 10,240 bps. The spacecraft spin rate was about 1 rps. The spin axis direction was changed periodically during the mission. The spacecraft reentered the earth's atmosphere after a successful mission on 15 April 1974.